Staffers for Federal Communications Commission chair Ajit Pai, who has made rolling back Barack Obama-era rules on net neutrality one of the top priorities of his tenure, met with representatives from Comcast this week to hear them out on a plan to prevent states from issuing their own neutrality rules. We also emphasized that the Commission’s order in this proceeding should include a clear, affirmative ruling that expressly confirms the primacy of federal law with respect to BIAS [Broadband Internet Access Service] as an interstate information service, and that preempts state and local efforts to regulate BIAS either directly or indirectly. Motherboard noted that Verizon also recently filed a white paper urging the FCC to preempt states from imposing their own internet privacy laws. Earlier this year, congressional Republicans shot down federal laws preventing ISPs from selling their customers’ internet histories to the highest bidder. With the likelihood that Pai’s FCC will do the same with net neutrality rules high, numerous states have begun passing their own rules. As Ars Technica noted, the push to preempt states from doing so is backed by other telecoms like Verizon as well as many Republicans. The argument goes that if federal rules conflict with state and local ones, the result will be an even more restrictive patchwork of regulations—though the effort could also be construed as a way to ensure industry-friendly federal rules remain in place with little recourse. There’s also the matter of the industry and Republicans arguing that the FCC does not have the authority to classify broadband under Title II while simultaneously having the authority to prevent states from doing it, which seems an awful lot like a naked attempt to get the regulatory environment telecoms want. 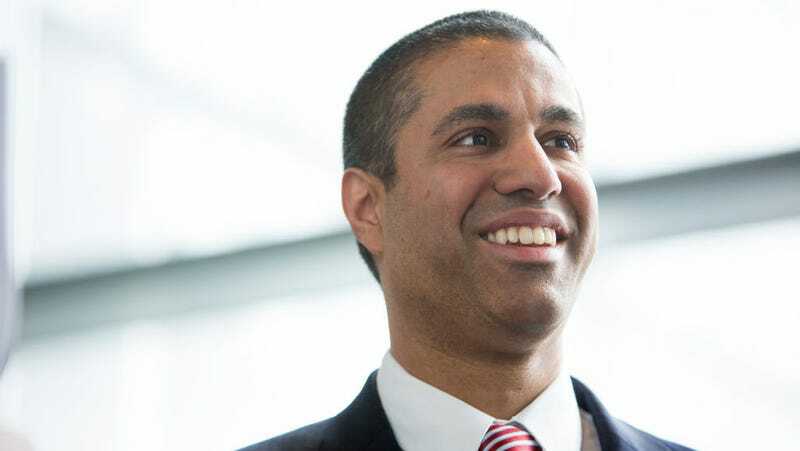 It’s disputed whether the FCC has the power to preempt state laws, and Pai has been skeptical of the idea in past.